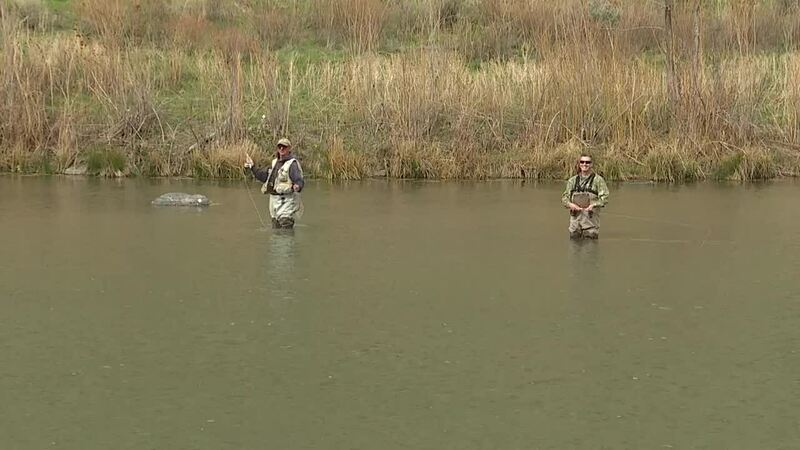 On last week's Idaho Back Roads, master fly tyer Nate Brumley showed me how to tie a colored emerger. My pattern was not nearly as good as his, but he agreed to try to catch a fish on it. But the river is rising, and the fish are not. After several hours of fishing, Nate lands two nice brown trout, and I bring only one fish to the surface, but fail to hook it. And no, he doesn't catch either fish on the fly I tied. Nate's website includes regular blogs on fishing conditions around the region.